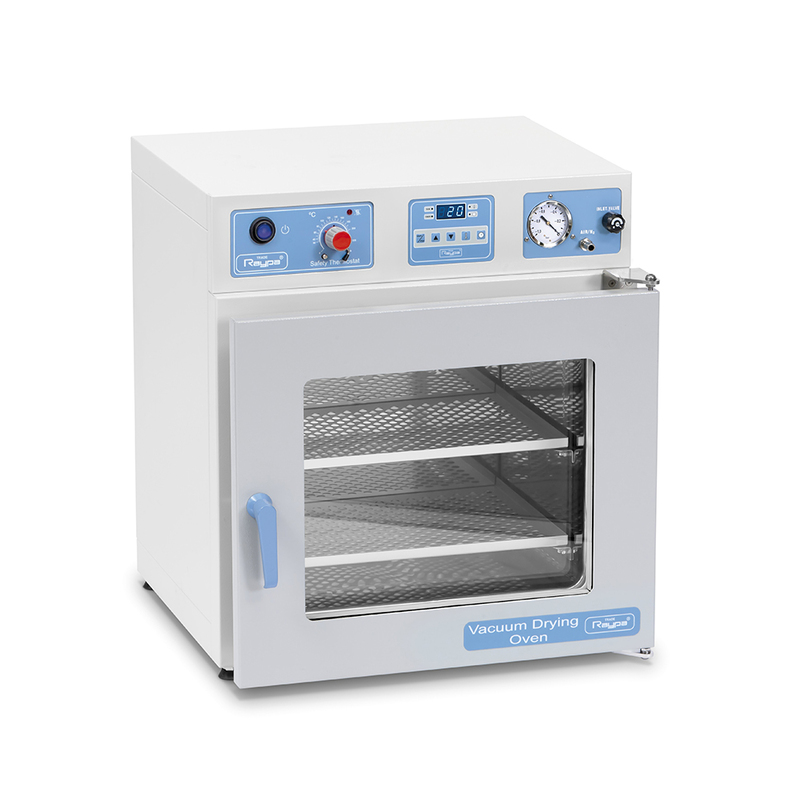 Adjustable temperatures: from 35º C to 200º C.
Maximum admissible vacuum: 0,01 mbar. Safety according to: EN-61010-1, EN-61010-2-010. Safety thermostat: class 2 incorporated from factory. Time and temperature controller: digital by microprocessor. Epoxy resin oven painted external case. Interior made in polished stainless steel AISI 304.